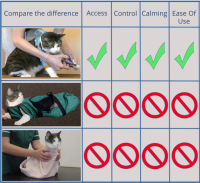 How the Kitty Care Harness works to make cat care safe and easy. Our one of a kind features set us apart! The rigid handle keeps your cat's head fixed in a safe direction protecting you from bites. It still fits loose enough that it never puts any stress on your cat's neck. No other restraint has a way to give you so much safety and control. 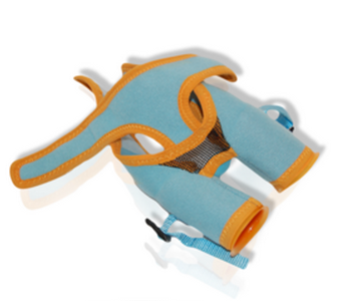 The rigid leg tubes fit loose and keep paws from raising. 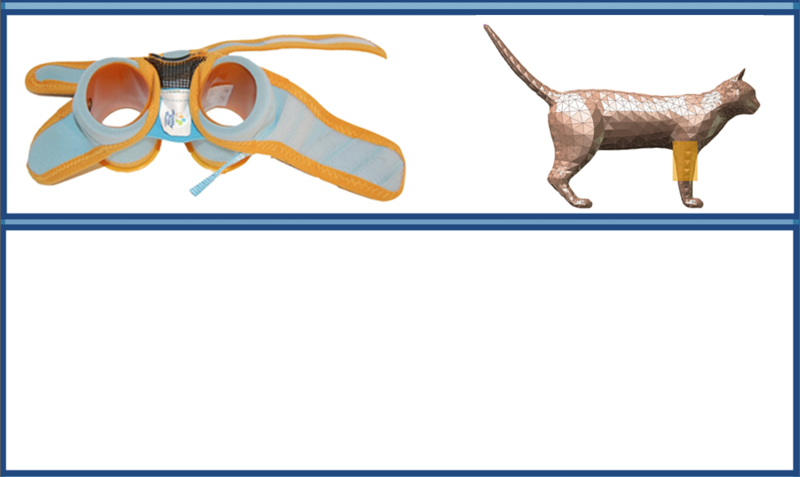 This offers superior scratch protection while allowing your cat to maintain her footing. Cats feel more secure when they are able to stand and adjust. The features listed above are masterly thought out to be multifunctional. 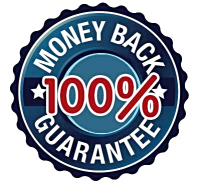 ​Gives you complete control that eliminates the over excitement resulting from chasing after your cat. 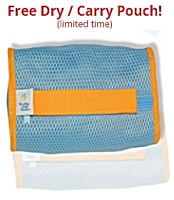 Allows soap & water to easily pass through for a thorough rinse when bathing. ​Flared at the base to keep it upright when fitting & lets claws slide in easy to avoid snagging. Just slide your cat's two front legs in and adjust the straps. 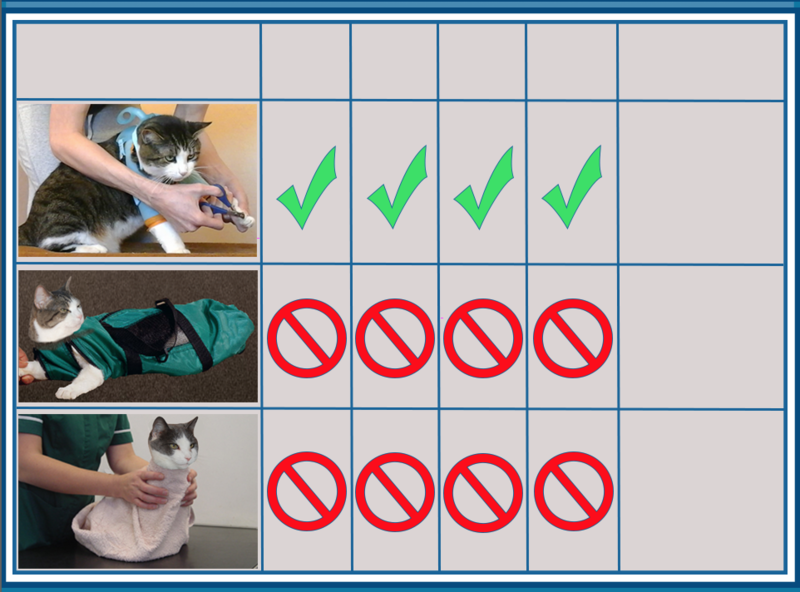 I'ts much easier than trying to wrap your cat in a towel or the nearly impossible task of forcing your cat into a bag. 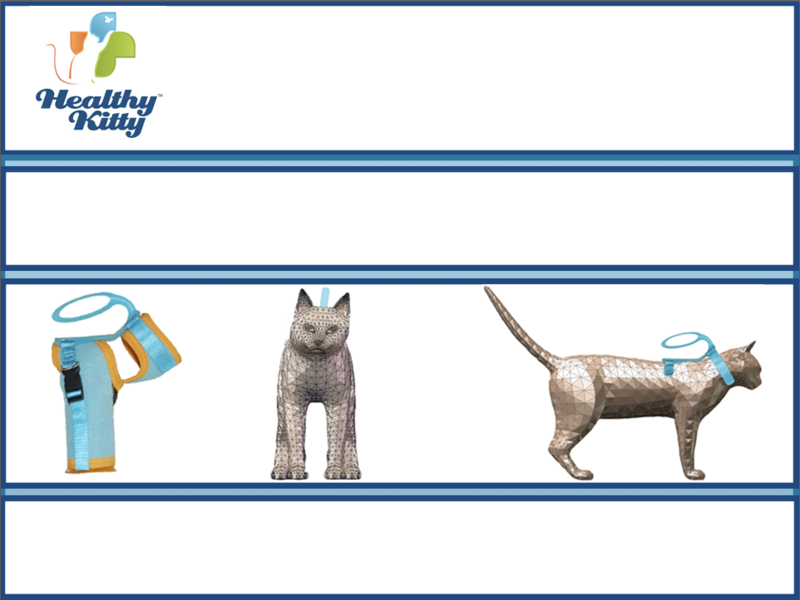 We thought of everything to make it safe & easy for you & your cat! Don't wait this special price and offer wont last, Order Now! 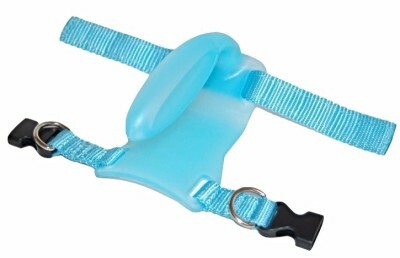 While our harness provides protection, control, and makes care giving and grooming much faster and easier, It is not intended for use with cats that can't be handled or touched. It is an aid for cats that resist care, that wont stay still, or that bite and scratch during care giving. 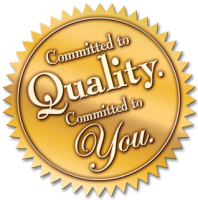 We always recommend our Use and Fitting Program for best results.